Mexican is always a crowd pleaser, especially on Cinco de Mayo. These vegetarian recipes are so delicious, you won't even miss the meat. 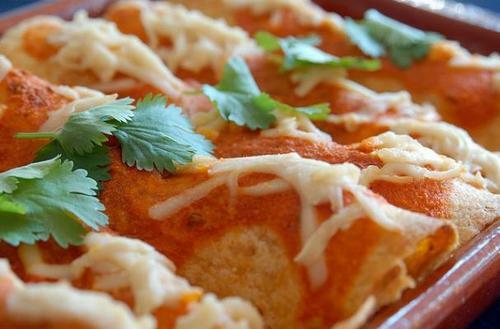 Enchiladas are a versatile dish that can be filled with just about anything. This recipe uses black beans, sweet potato, and caramelized onions for the filling. For some green, I like to add sauteed kale. These vegetarian enchiladas are full of flavor and texture- you won't even miss the meat. Chickpea tacos with avocado slaw from is a different kind of Mexican vegetarian meal. Instead of using tofu or other meat substitute, these tacos are stuffed with roasted chickpeas spiced with cumin and chili powder. The avocado slaw composed of mashed avocados mixed with cabbage, lemon juice and jalapeno sauce. Each taco is sprinkled with feta cheese for a finishing touch. 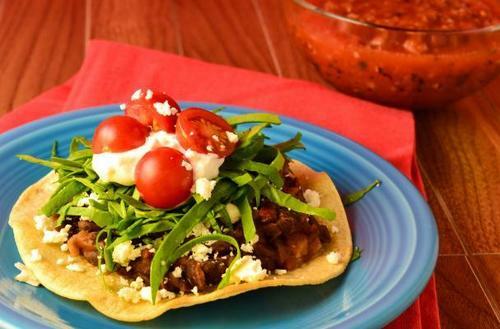 Gluten-free vegetarian tostadas a are totally delicious meatless meal. This classic Mexican dish is filled with black beans, spinach, tomatoes and feta (or cotija cheese if you can find it). You can choose to cook dried black beans and season them to your taste or for quicker results, you can use canned beans. When buying the corn tortillas or tostas, make sure to read the label carefully to verify that the food is not produced with machinery that is contaminated with wheat. A torta is a Mexican sandwich usually made with breaded pork or sliced steak. This vegetarian version replaces the meat with soy chorizo and egg. This sandwich is bursting with flavor; I love the contrast between the pungent onions, creamy avocado, and the slightly tart crema. I recommend using a telera roll which is a round soft roll with two linear indentations on the crust. It is often found at Latin bakeries. If you cannot find that, go ahead and use a small French roll. 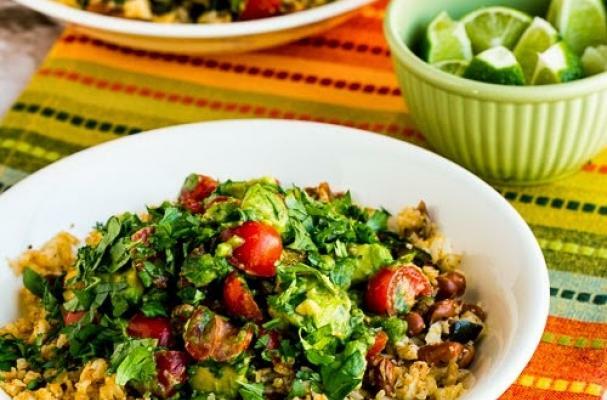 Vegan burrito bowls are a light and healthy Mexican meal. Cauliflower rice is seasoned with sauteed onions, poblano chiles and homemade taco seasoning. It is then topped with creamy pinto beans, cherry tomatoes, avocado, and fresh cilantro. This meal is good and you'll feel good eating it.